“Buy low, sell high.” It’s the golden rule of being a successful investor. You’ve heard this rule too many times, and you know it makes sense. Yet time and again, you find yourself doing the exactly opposite. Most of us allow our emotion to play a big a role the way we invest. As we are unable to control our emotion we make mistakes, Emotion such as fear and greed. Fear of losing money holds back even those investors who have bright possibilities ahead of them. On the other hand, greed makes them take decisions which might make them lose more money they can make. Let’s discuss why these emotions come in between, and what we can do to stay away from such emotions. We are social animals and the social burden always is always present on our shoulders. A good house, secure future of children, a comfortable life style for spouse and parents, smooth retired life and the need for social status are our needs which makes us greedy. The lack of any of the above may cause inferiority complex or fear in us. This inspires us to take wrong decision or wrong investment. The fear of losing everything and the greed of achieving everything creates a conflict and confuses us at the times of making investments. As we know that Investment is all about putting the right amount of money in the right instruments at the right time. Let’s take simple example. What we do in case of stock market? “If stock market going up we don’t buy because of fear it may crash, market goes up again we wait & don’t buy because of fear market may crash. So we do exactly opposite which is foolishness cause by our emotions. Believe me this emotion is culprit for leaving us behind. Everyone wishes to have a luxurious car or a big bungalow as early as possible. 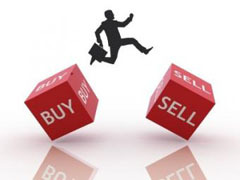 These desires enforce us to invest in risky investments such as equities in the hope of getting higher returns quickly. These shares may give returns that are higher than other instruments but if you make losses that are also terrible. Many people think that following a successful investor like “warren buffett” will help. However, you need to keep in mind that every individual has different risk taking capability, goals and wants. Investment done by other may not be right investment for you. Successful investor may be able to cope up with loss but you may not, which may cause strong disappointment and fear. You may take advice from professional but blindly following anybody is not good idea. What it takes to become successful investor? How to win over emotion? Stay tune for our Next Post:- How to Invest without emotions? 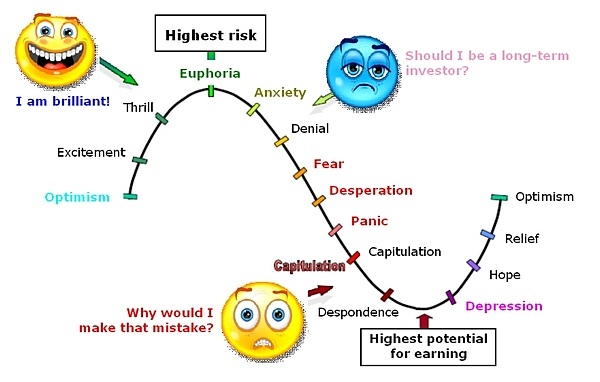 How to stay away from emotions while doing investments?